The Amazing Hatching Egg / Growing Dinosaur Thingy! Suspended in side this gel-like putty lies a realistic-looking dinosaur fossil. Well, it’s realistic if the dinosaur is 3 inches long. 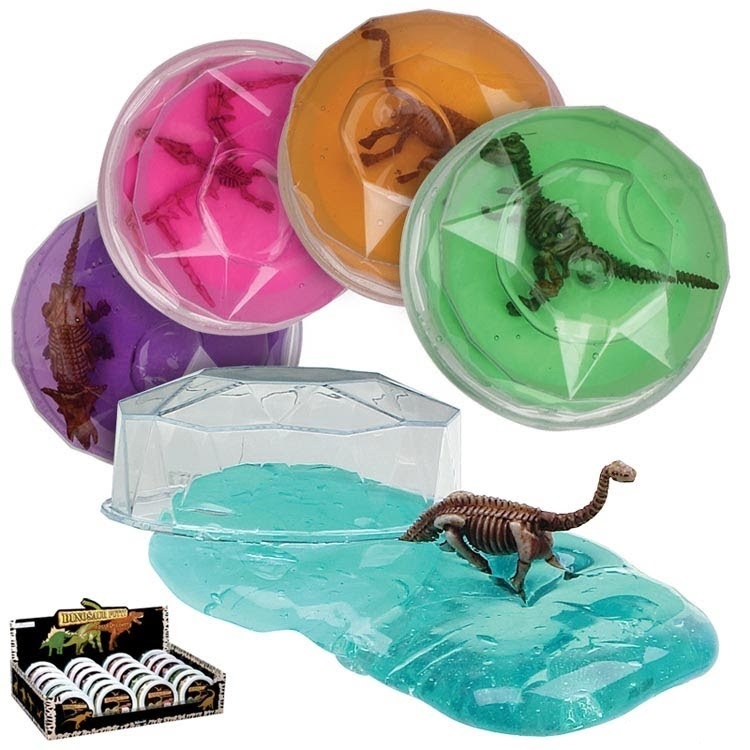 Comes in assorted gel colors and fossils in a reusable 3.5″ diameter container. Category: Party Favors & Supplies. Tags: fossil, gel, ooze, putty.